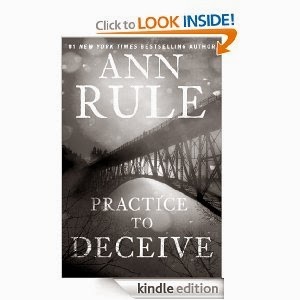 Ann Rule never disappoints! Her true crime stories read like the most convoluted mysteries and clearly exhibit that life is stranger than fiction. Only the most creative of writers could make this stuff up. A Practice to Deceive finds Rule true to form. The research is excellent and I like Rule’s writing style. While I did not find this book as intriguing as her best, it is still a good read. My main critique of this story is the victim was not particularly likeable nor the villains particularly heinous. It is the people that make a story compelling and this book lacked fascinating characters. That being said, the murder of Russ Douglas and the lengthy investigation into his death makes an interesting story. December 27, 2003 off a remote road on Whidbey Island in Washington State, a man was found slumped over the steering wheel of his bright yellow GEO tracker with a bullet between the eyes. The victim’s estranged wife Brenna does not appear to be distraught by her husband’s death. But there is no apparent motive. And the murder weapon is missing. The investigation into the death of Douglas takes years; but ultimately, police track the murderer because of one dumb mistake.